DAA Soccer is pleased to announce our partnership with Soccer.com to provide all Soccer Uniforms, Team Accessories, and Spiritwear. A portion of all sales will be donated back to DAA to purchase equipment and other items to support the entire DAA Soccer program. 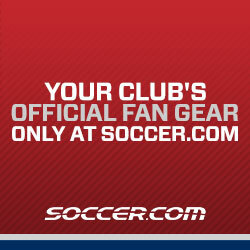 ** Travel Uniforms - To find items specific to your child, type your child's name in the Search Team/Player dropdown on top left of page after clicking on Soccer.com logo above.